Scott Snyder has used his Image Comic series Wytches to explore his deepest fears as a writer, father, and husband, combining tense personal drama with grotesque horror as he details the extreme lengths author Charlie Rooks will go to protect his daughter, Sailor. 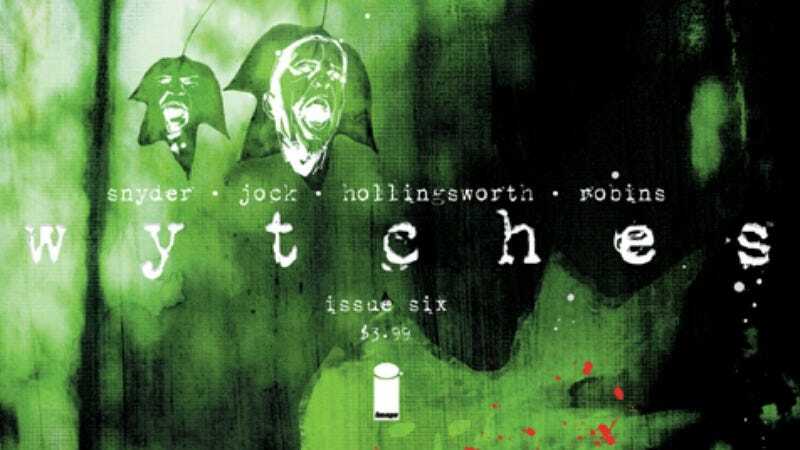 The first arc of the series ends with this week’s Wytches #6, which sees Charlie going to battle with the wytches to save his daughter despite overwhelming odds against him. It’s an issue that delivers significant twists that dramatically change the course of the narrative moving forward, and the creative team ramps up the suspense in the lead-up to these big events.